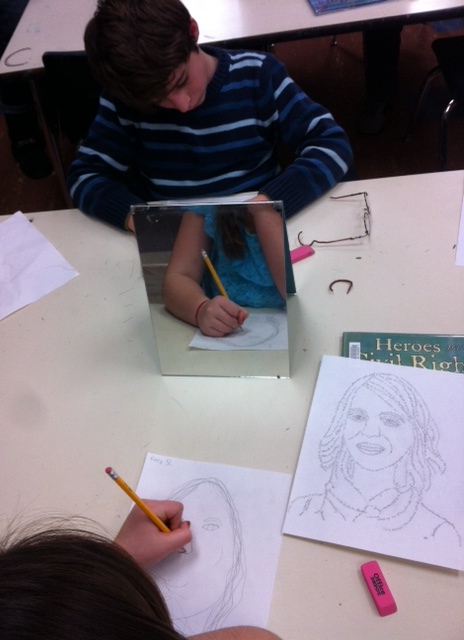 Fourth and fifth grade students at Mills Lawn started self portraits using contour (simplified line or outline)drawings with words layered on top. 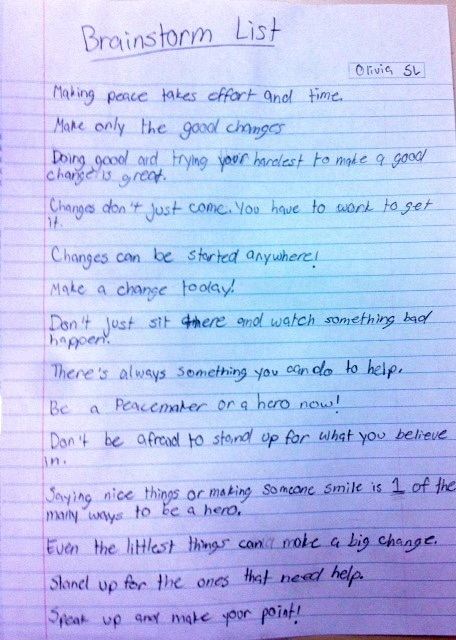 Students will create these self-portraits with the goal to see themselves as hero/peacemakers. 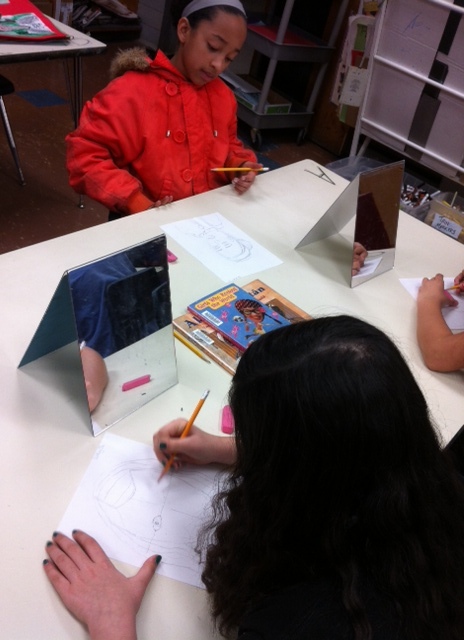 Students are using strong observation skills to see the line and shapes that contribute to a strong portrait but are also reflecting on and articulating personality traits, messages of peace, and goals for being a hero in their own community.